De Roos & Pen Law Firm was established in 1984 and is consequently one of the oldest criminal law firms in the Netherlands. The office is located in the centre of Amsterdam on the Keizersgracht. De Roos & Pen Criminal Defence Lawyers specialises in financial criminal law, economic criminal law and criminal tax law and is recognised both internationally and within the Netherlands as an authority in this field. As a result, the office of De Roos & Pen Criminal Defence Lawyers also has a great deal of expertise and experience in handling complex fraud cases and fraud investigations. Lawyers from De Roos & Pen Criminal Defence Lawyers have supported a variety of clients, individuals as well as companies, in for example the ‘Clickfonds’ case, the Construction Fraud (‘Bouwfraude’) and the more recent Real Estate Fraud (‘Vastgoedfraude’). Additionally, lawyers from De Roos & Pen conductinternal investigations, mainly on behalf of the financial sector, and offer advice about compliance and corporate governance. In 2015 De Roos & Pen was the Wealth & Finance International award winner: Best for Internal Fraud Investigations. In 2015 De Roos & Pen was named by Corporate Live Wire for ‘Excellence in Fraud Law‘. Yet De Roos & Pen Criminal Defence Lawyers has never forgotten its social roots. The office expanded in the 1980’s when it made its name supporting squatters, among others. As a result of its history, the general criminal practice has never lost its place at the heart of the office. De Roos & Pen still frequently assists clients in cases of money laundering, drugs and/or cases involving violence. Thanks to the scale of the office – De Roos & Pen is regarded as a (medium) large criminal law office – the office is always ready to put together a reliable team of lawyers for every acute criminal law problem. 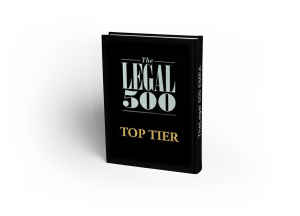 According to Legal 500 De Roos & Pen is a ‘top tier’ firm. ‘One of the eminent firms in this area‘. The office ‘handles high-profile fraud cases and conducts internal investigations for financial services clients‘ and is ‘internationally oriented’ and ‘knows how to translate specific knowledge into practical advice’. According to Who’s Who Legal De Roos & Pen is “A leading firm and a long-standing fixture in the Dutch market“.